The US Department of Energy (DOE) has unveiled its Better Buildings Challenge SWAP. In the launch, Hilton Worldwide and Whole Foods Market have swapped energy management teams at their San Francisco facilities. For fun, a reality style web series is being made available. The series, now available here, includes behind-the-scenes footage featuring both teams. A key objective of this Better Buildings Challenge is to help companies reduce their energy footprint across their building portfolios, sharing successful strategies with peers. 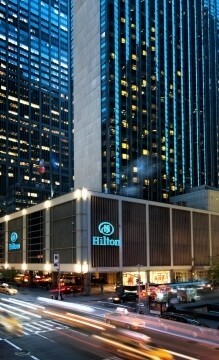 As a result of the SWAP, the Hilton Worldwide team has already begun to implement multiple recommendations, including LED lighting upgrades, door gasket replacements, and the phase-out of less efficient appliances within refrigerated containers at Hilton Union Square. Whole Foods Market has employed multiple strategies to advance environmental stewardship across its portfolio of 370 buildings or nearly 13 million square feet and is already achieving 7% energy savings toward a 20% goal. During the SWAP, the Hilton Worldwide team uncovered lighting fixes, refrigeration savings through doors on cases, and heat recovery improvements that could net positive energy savings at the Whole Foods Ocean Avenue store. Importantly, the Better Buildings Challenge is aimed at achieving the goal of doubling American energy productivity by 2030 while motivating corporate and public-sector leaders across the country to save energy through commitments and investments. More than 285 organizations are partnering with the Energy Department to achieve 20% portfolio-wide energy savings and share successful strategies that maximize efficiency over the next decade. Across the country, partners have shared energy data for more than 32,000 properties and are reporting energy savings of 20 percent or more at 4,500 properties, and 10 percent or more at 12,000 properties. Stay tuned to this Better Buildings Beat Blog for updates.